Protect your assets, your life and your livelihood. many insurance companies require it. We specialise in accurate thermography scans that deliver the data you can rely on. provide a quote within 24 hours and a detailed report within 24 hours of scanning. Thermal Imaging detects equipment faults not visible to the naked eye – often before they become dangerous and costly. In short, adding thermal imaging to your critical maintenance tasks ensures your safety and efficiency. Every business should include thermal imaging as part of their maintenance plan. In fact, many insurance companies require it. 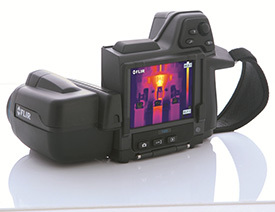 At Thermoscan, our focus is on Thermal Imaging of your equipment. 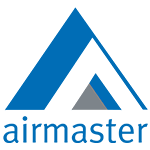 We are not allied with any repair business, which means we will give you our unbiased, professional opinion and advice. Thermoscan is focused on what businesses need – and in some cases what you’re required by your insurance company to provide. Our team of industry qualified electricians and thermographers responds quickly and provides accurate inspection reports for most thermal imaging applications. We’re ISO Safety & Quality Certified and 100% independent, unlike some electrical contractors who invent “phantom” faults… so they charge to fix them! Thermal imaging is our specialty – it’s what we do. You don’t want to leave a critical prevention task to the ‘one man shop’. Our “Fast-Quote, Fast-Report” service gets you what you need – right away. We will provide a quote within 24 hours and a detailed report within 24 hours of scanning. Including thermal imaging in your maintenance plan is considered an industry best-practice nowadays. It’s also essential in the eyes of many insurers. We have created a “Fast-Quote, Fast Report” process to help you get started as quickly and as easily as possible. To get all the information you need to make an informed decision and satisfy your insurer (if required), click the “Request A Free Quote” button below. It only takes a few quick details to get started on your quote. We know a fast turnaround is important to you. You can expect your full quote back within one business day. If you’re happy to proceed with the quote, we’re able to provide your full report in as little as 24 hours after completion of the inspection.